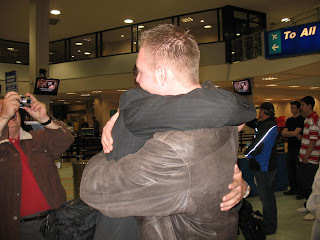 Haynes Family: My Brother is Home!! 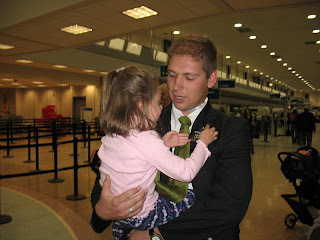 We were able to go to Utah to be there when my brother Adam came home from his mission Jan. 26th. He was suppose to fly in Friday night (the 25th) at 11:20pm but due to plane difficulties, he was stuck at the airport and ended up not being able to get home until Sat. at 4:00pm. He met Avery and Mary's little boy Camden for the first time. After the airport Adam wanted to go get a pork salad since he couldn't eat either in Ecuador. 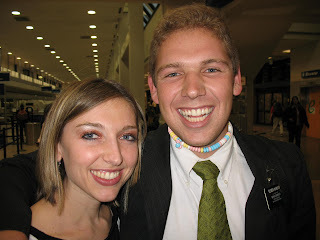 The family reunion with him was awesome and something I am so grateful I didn't miss. That is so fun that your brother is home! Fun stuff :) Glad you had such a good trip...we missed y'all.